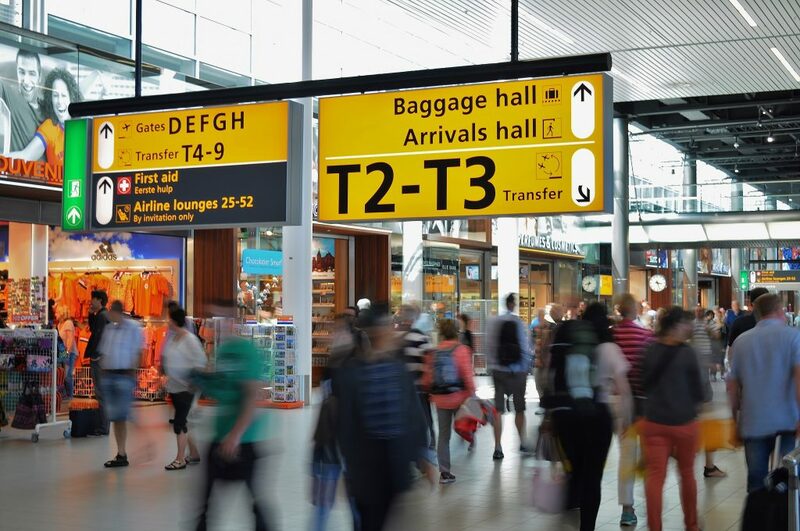 Since changing my surname 11½ years ago to the frankly-silly (albeit very “me”) Q, I’ve faced all kinds of problems, from computer systems that don’t accept my name to a mocking from the Passport Office to getting banned from Facebook. I soon learned to work-around systems that insisted that surnames were at least two characters in length. This is a problem which exists mostly because programmers don’t understand how names work in the real world (or titles, for that matter, as I’ve also discovered). It’s always been a bit of an inconvenience to have to do these things, but it’s never been a terrible burden: even when I fly internationally – which is probably the hardest part of having my name – I’ve learned the tricks I need to minimise how often I’m selected for an excessive amount of unwanted “special treatment”. I plan to make my first trip to the USA since my name change, next year. Place bets now on how that’ll go. This year, though, for the very first time, my (stupid bloody) unusual name paid for itself. And not just in the trivial ways I’m used to, like being able to spot my badge instantly on the registration table at conferences I go to or being able to fill out paper forms way faster than normal people. I mean in a concrete, financially-measurable way. Wanna hear? So: I’ve a routine of checking my credit report with the major credit reference agencies every few years. I’ve been doing so since long before doing so became free (thanks GDPR); long even before I changed my name: it just feels like good personal data housekeeping, and it’s interesting to see what shows up. It started out with the electoral roll. How did it end up like this? It was only the electoral roll. It was only the electoral roll. 14 July 2016 – they marked the issue as “closed”… wait, what? Given that all they’d done for six months was email me occasionally to say that it was taking a while, it was a little insulting to then be told they’d solved it. I wasn’t in a hurry, and 2017 was a bit of a crazy year for me (for Equifax too, as it happens), so I ignored it for a bit, and then picked up the trail right after the GDPR came into force. After all, they were storing personal information about me which was demonstrably incorrect and, continued to store and process it even after they’d been told that it was incorrect (it’d have been a violation of principle 4 of the DPA 1998, too, but the GDPR‘s got bigger teeth: if you’re going to sick the law on somebody, it’s better that it has bark and bite). Throwing the book tip-of-the-day: don’t threaten, just explain what you require and under what legal basis you’re able to do so. Let lawyers do the tough stuff. My anticipation was that my message of 13 July 2018 would get them to sit up and fix the issue. I’d assumed that it was probably related to my unusual name and that bugs in their software were preventing them from joining-the-dots between my credit report and the Electoral Roll. I’d also assumed that this nudge would have them either fix their software… or failing that, manually fix my data: that can’t be too hard, can it? You want me to make it my problem, Equifax, and you want me to change my name on the Electoral Roll to match the incorrect name you use to refer to me in your systems? Equifax’s suggested solution to the problem on my credit report? 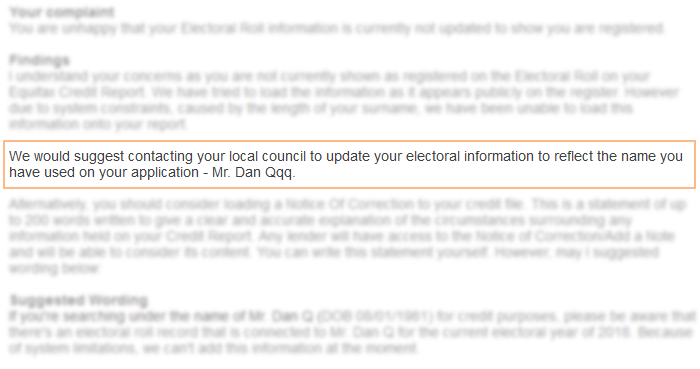 Change my name on the Electoral Roll to match the (incorrect) name they store in their systems (to work around a limitation that prevents them from entering single-character surnames)! At this point, they turned my send-a-complaint-once-every-few-years project into a a full blown rage. It’s one thing if you need me to be understanding of the time it can take to fix the problems in your computer systems – I routinely develop software for large and bureaucratic organisations, I know the drill! – but telling me that your bugs are my problems and telling me that I should lie to the government to work around them definitely isn’t okay. Dear Equifax: No. No no no. No. Also, no. Now try again. Love Dan. At this point, I was still expecting them to just fix the problem: if not the underlying technical issue then instead just hack a correction into my report. But clearly they considered this, worked out what it’d cost them to do so, and decided that it was probably cheaper to negotiate with me to pay me to go away. 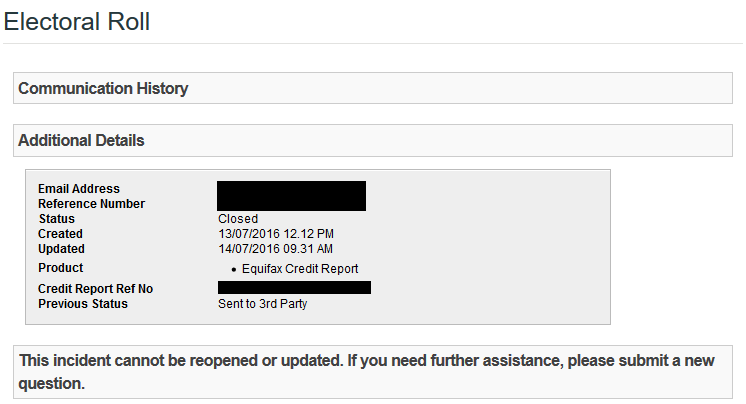 This week, I accepted a three-figure sum from Equifax as compensation for the inconvenience of the problem with my credit report (which now also has a note of correction, not that my alleged absence from the Electoral Roll has ever caused my otherwise-fine report any trouble in the past anyway). Curiously, they didn’t attach any strings to the deal, such as not courting publicity, so it’s perfectly okay for me to tell you about the experience. Maybe you know somebody who’s similarly afflicted: that their “unusual” name means that a credit reference company can’t accurately report on all of their data. If so, perhaps you’d like to suggest that they take a look at their credit report too… just saying. Apparently Equifax think it’s cheaper to pay each individual they annoy than it is to fix their database problems. I’ll bet that, in the long run, that isn’t true. But in the meantime, if they want to fund my recent trip to Cornwall, that’s fine by me.